SD cards are the perfect companion to keep your data on the go, they have high data capacity with phenomenal Read and write speed. 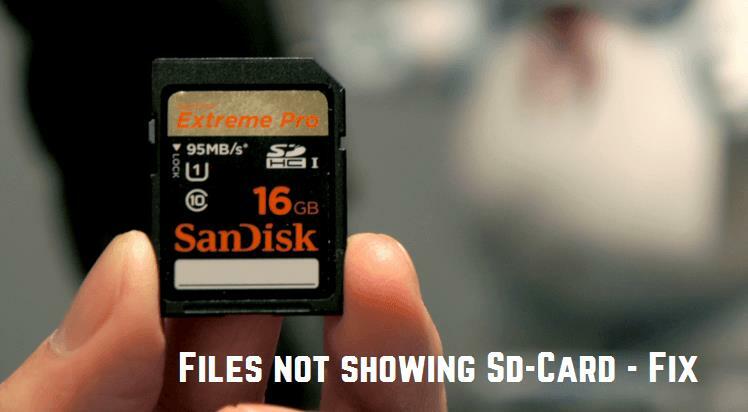 SD cards are slightly bigger than Micro SD Cards, they are mostly used in devices such as DSLR cameras and Camcorders. It would be a shame if your SD card stops working and your PC/device is unable to read/write on it. I have seen many people having problems with their SDHC cards so I have decided to write a troubleshooting guide for it. SD card shows disk space used by not showing any files (probably due to a virus). How to Fix Files not Showing on SD Card or micro SD Card. There are many ways to get back files on SD card on Windows, try the following steps until you get your problem fixed. There is a virus that attaches itself to the autorun command of the portable memory cards and USB devices. It makes all the files hidden on your memory but you can still see the disk space being used from Windows Explorer. Don’t worry, it can be easily fixed. This fix also applies to micro SD card used in Android devices. 1. Press WinKey+R to open run. 2. Type “cmd” and press Enter. This will open a command prompt (black window). 3. 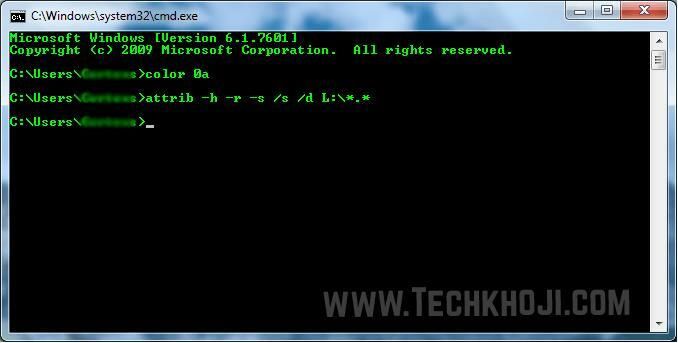 Enter the following command in the command prompt. Replace “k” in red color with your SD card drive letter. 4. Go back to Windows Explorer, open SD card drive, all your files will reappear. If the SD card is not being detected in the Devices or My Computer. Make sure you have inserted the card properly, push it a little further until you hear a click sound. If it still does not work, download Install SD/MMC card reader device drivers from internet by entering its model no. Also try cleaning the SD card copper metal pins with a pencil eraser to remove the dust/rust. “F” letter in green represents the Letter of the SD card that will show up on Windows. “DCIM” in red represents the folder that contains your media. SD cards come with write protection by default, there is a tiny switch on a card that enables or disables writing Data on it. Slide the tiny switch upward to remove write protection. You can connect camera to your PC through data cable. That way your Camera will work as a card reader and you could see all the files.